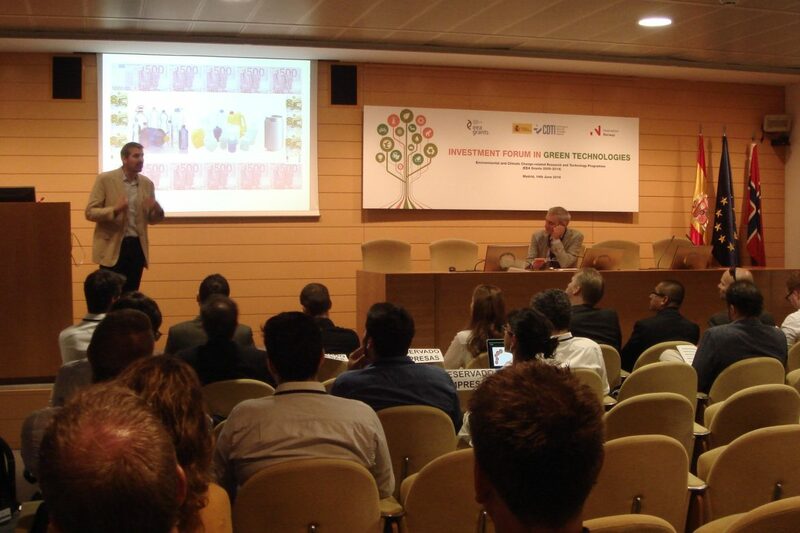 The Investment Forum in Green Technologies was held on June, the 14th, 2016 in Madrid, organized by CDTI and Innovation Norway as EEA Grants donor programme partner, in the framework of the Programme Environmental and climate change-related research and technology. The Investment Forum was addressed to technology based start-ups that develop projects within the thematic areas of environment, energy efficiency, renewable energies and climate change. For Sadako, it has been an excellent opportunity to meet important investors such as Demeter Partners and also to get in touch with other interesting technology based start-ups. With the occasion of our participation in the Forum we have been mentored by EOI, to which we thank a lot their advice and support, and also produced a new video “Sadako’s technology for a greener and better world”, funded by EEA Grants and introduced just before cofounder Javier de la Ossa pitch. Hope you like it! Sadako awarded with the $100.000 prize of Nvidia GPU Early Stage Challenge! Immensely happy, encouraged and grateful.